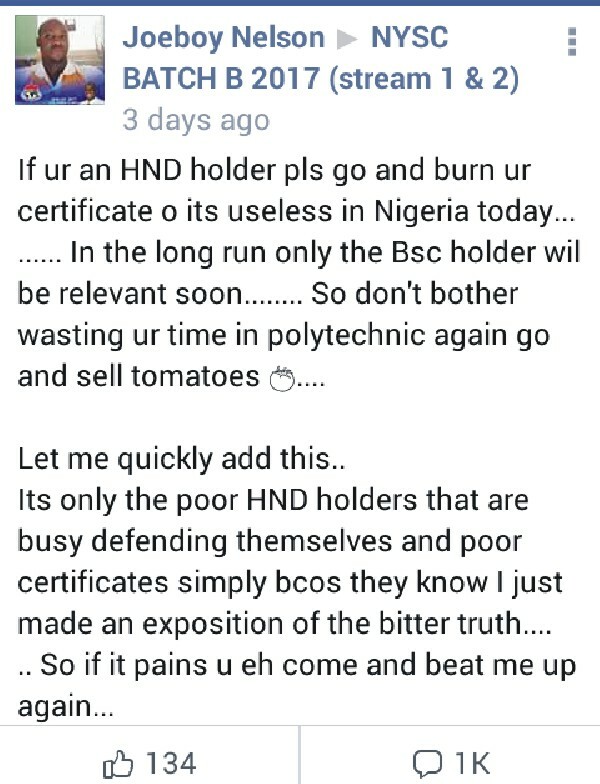 No doubt, the discrimination and dichotomy surrounding HND holders in Nigeria cannot be overemphasized. 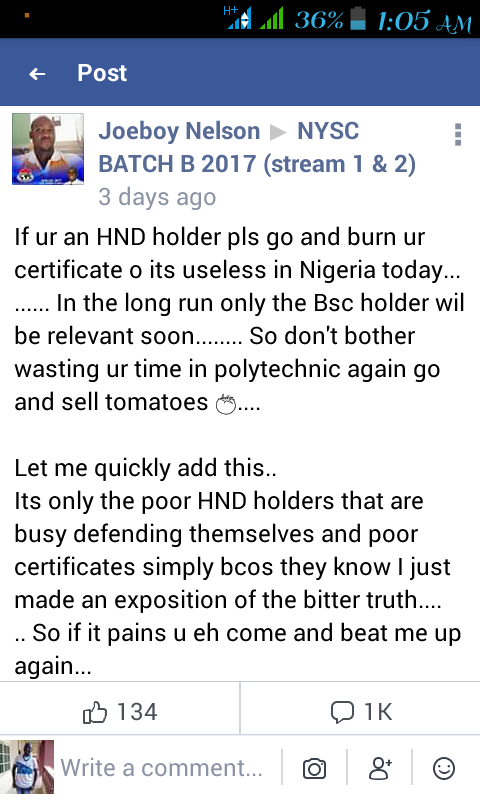 No matter how the Nigerian government try to bring the HND and BSc holders to the same level, almost all companies in Nigeria cannot and will not be compelled to do so. 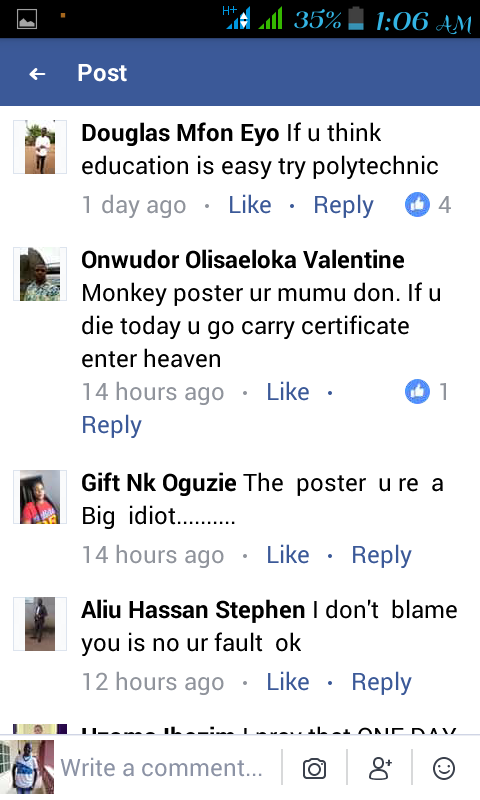 If you have ever applied for a position or gone for an interview, you would have experienced the discrimination first hand and it is not pleasant. 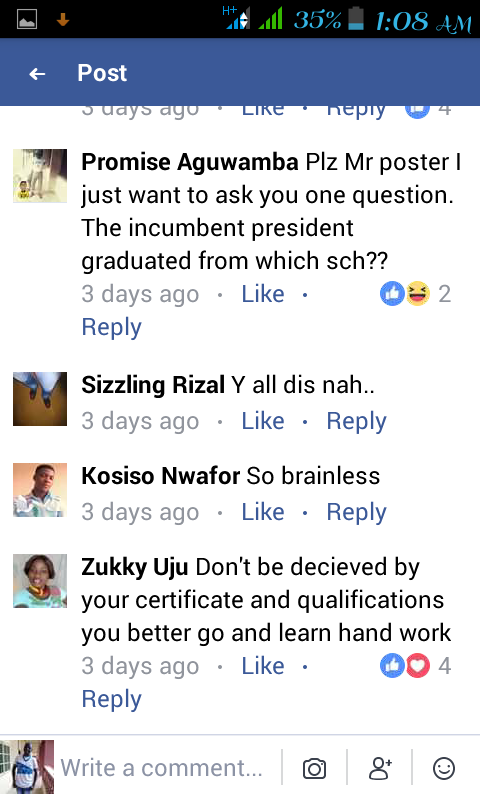 But one should also ask his/herself which school our No.1 "President Buhari" graduated from. 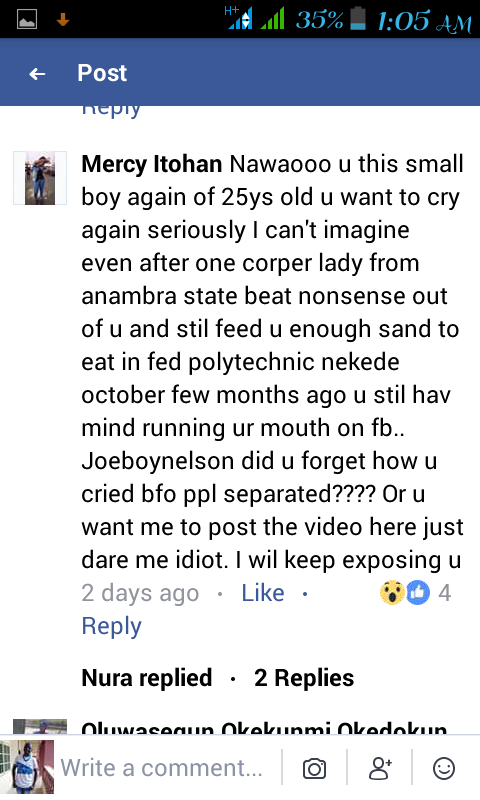 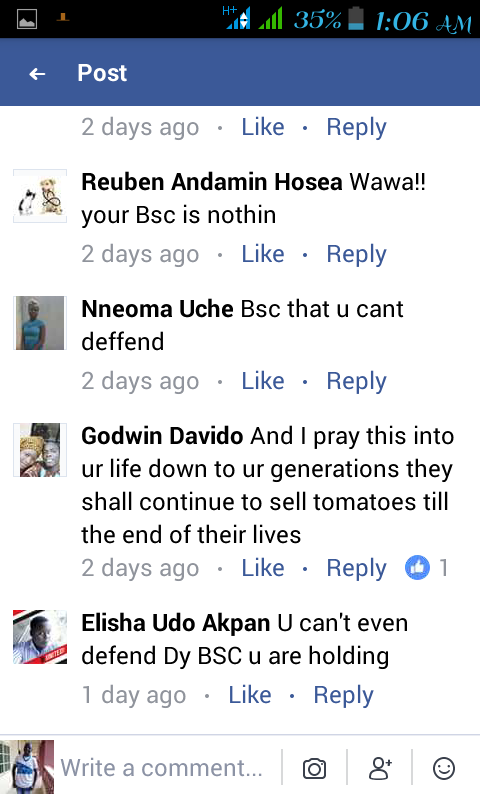 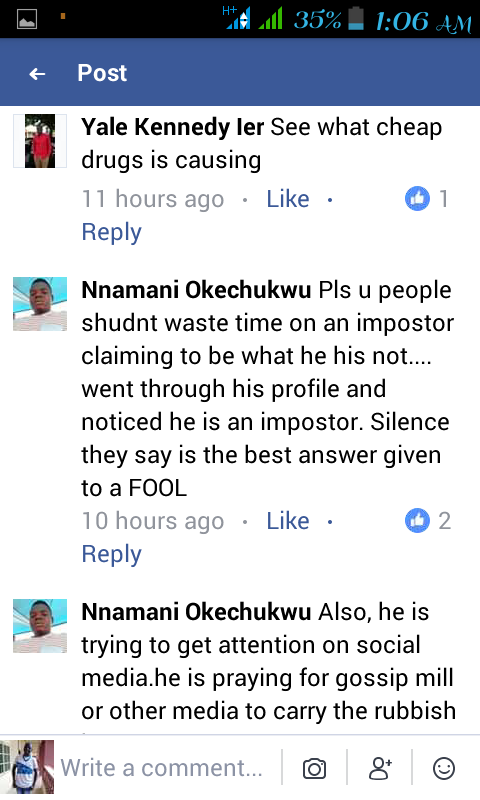 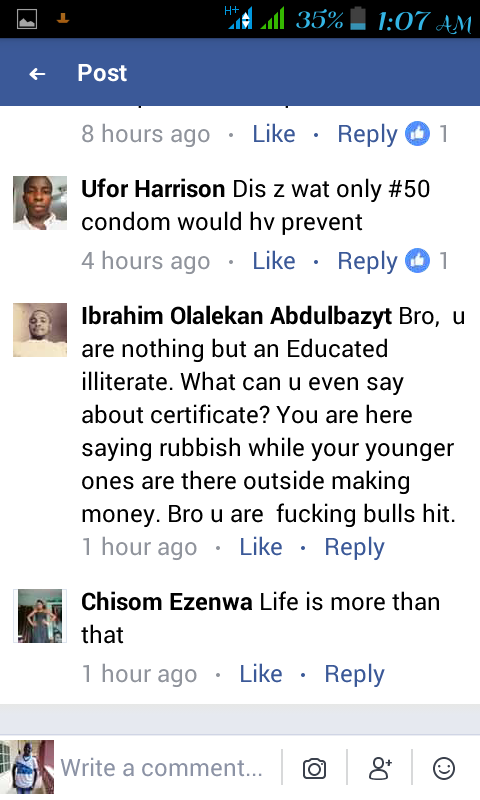 Anyway, a youth corper who admonished HND holders to burn their useless certificates and start selling tomatoes in the market has been slammed by Nigerians, most especially those who graduated from Polytechnics.